In this day and age, we’re too busy to sit down and do a whole slew of things. Most people in my generation (millennials) may not understand the significance of a handwritten note, especially when it comes to older generations. When I was growing up, my best friend’s family was very keen on receiving thank you cards, and they really appreciated them. Whether it was the principle of a thank you card, the time spent on a thank you card, or just the pure joy of opening a handwritten note, it was always received so well and I honestly think one of the reasons her family enjoyed my company. This is a sponsored post in partnership with Bond.Co. As always, all opinions and thoughts are honest and my own. I’ve had a few pen pals over the years. When we first moved to the United States, my mom’s first friend was an incredible woman. We still keep in touch to this day, and it’s through cards. Holiday cards, birthday cards, you name it. She still sends me a Christmas gift and a birthday gift every single year, and it’s the kindest thing. I’ll have to make a visit to see her soon, but we have always written long notes to each other several times a year, and this is how we communicate. Texting and emailing never quite feels right. All in all, I absolutely love handwritten notes and I think there’s something so powerful about the entire concept of them. I think most of you would agree that you would appreciate a handwritten note more than an email, IM, tweet, comment, etc. 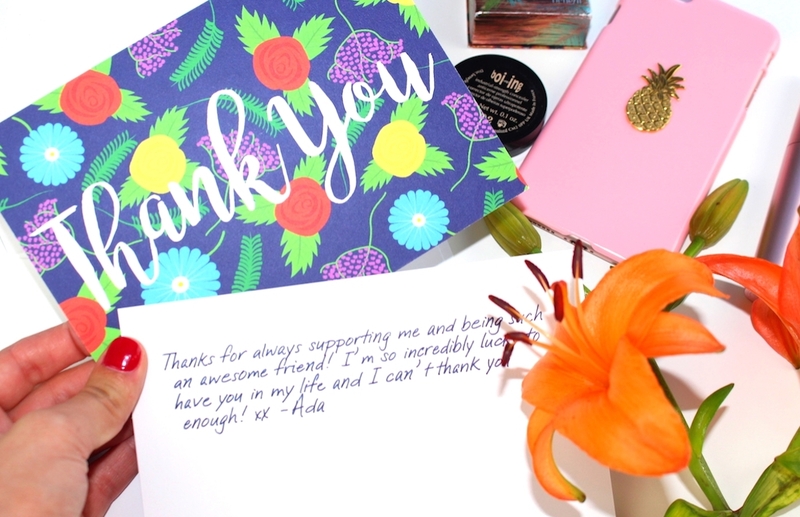 There’s a positive connotation to a handwritten note too, and it’s usually received for holidays, birthdays, thank you occasions, weddings, etc. so a handwritten note is usually a positive thing! It’s just so much more personable and it’s ridiculously gratifying to open up a handwritten note and realize that the person who sent it spent time writing a note directly to you. You weren’t BCC’ed on an email that went to a hundred people. This note was made for you. 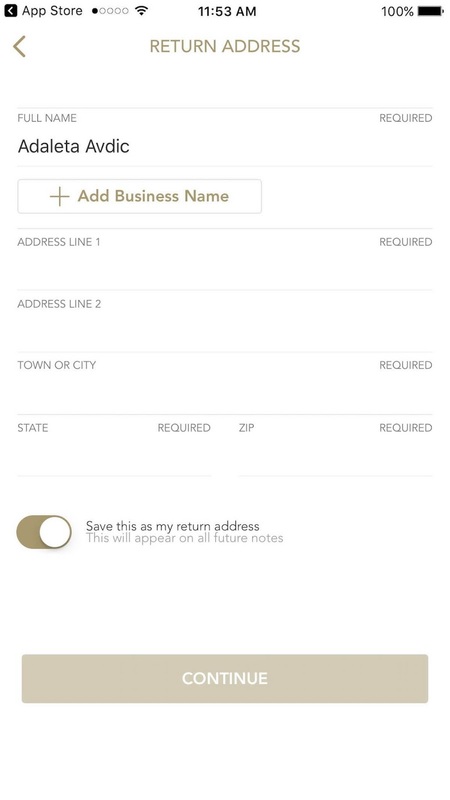 Bond.co really took it upon themselves to make handwritten notes possible, with a mobile app (which we all know and love these days – it is 2016 after all.) Whatever message you want to send to someone will get sent with postage by mail as a handwritten card on high-quality stationery. You know those times you’ve wanted to tell someone “hope you feel better soon” or “hope your dad’s recovery is quick” Well now you can spend a few minutes and fulfill those moments, by using Bond.co. I wanted to share my special note with you too, because I wouldn’t be able to work with amazing companies LIKE Bond.co without your continuous and incredible support so THANK YOU! It’s so easy to use the app, I thought I would share the steps so you can see how quickly you’d be able to get on your way, after ensuring your loved ones have a handwritten note on the way! 1. Choose your font. You select your font, and all of the fonts are really nice and truly do make the note look hand-written. 3. Include your address. Obviously the card will need a return address, so you plug that in quickly. 4. Include the recipient’s address. …and you’re all set. The card will be on its way! You can chill, and rest assured you just sent an extremely thoughtful card to someone you love who is going to appreciate opening it up. Easy peasy! Bond Inspiration – Allison Williams from Bond on Vimeo. 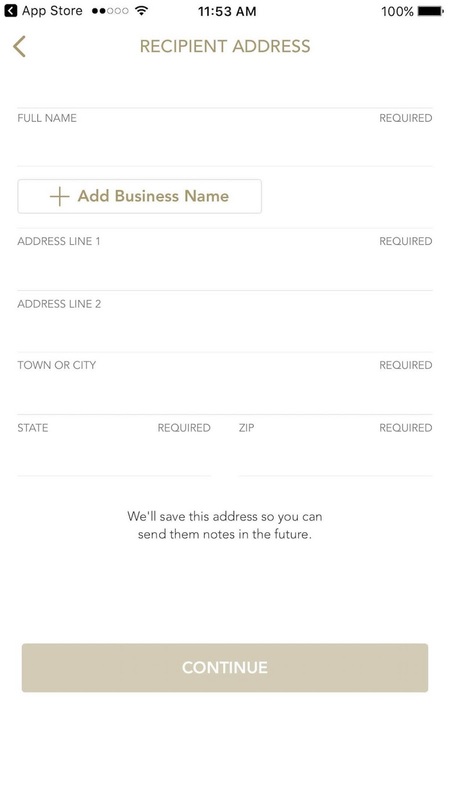 As mentioned, Bond lets users send beautiful, handwritten notes on customizable stationery from a phone or computer. You can check out some videos about Bond here. 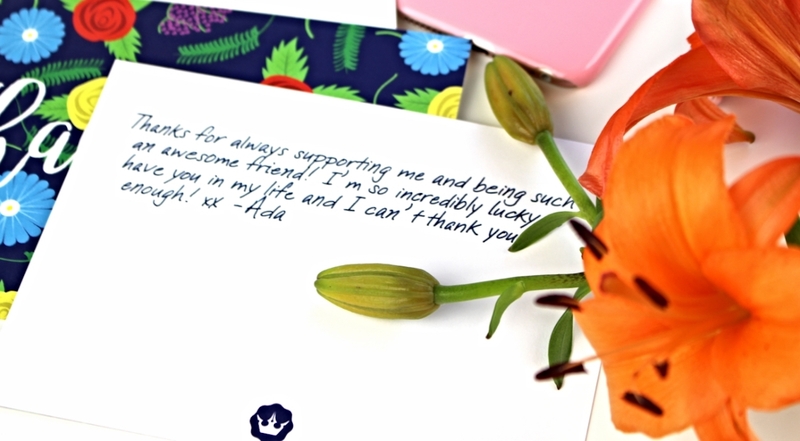 So tell me, are you a fan of handwritten notes?